It’s just a convenience thing. There is no doubt smartphones still have a way to go before truly being able to replace dedicated cameras from a professional perspective. But for the everyday photo of the average consumer, phones are at the point now where one really has to wonder about the need for a dedicated camera. That is, even more, the case as phone add-on lenses become more popular and higher quality. 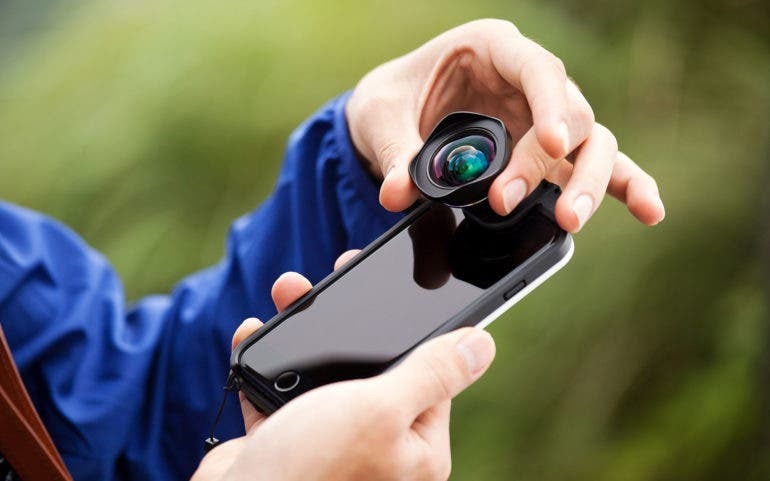 Bitplay has announced their new CLIP for iPhone, which makes utilizing their range of accessory lenses super easy and really simple. 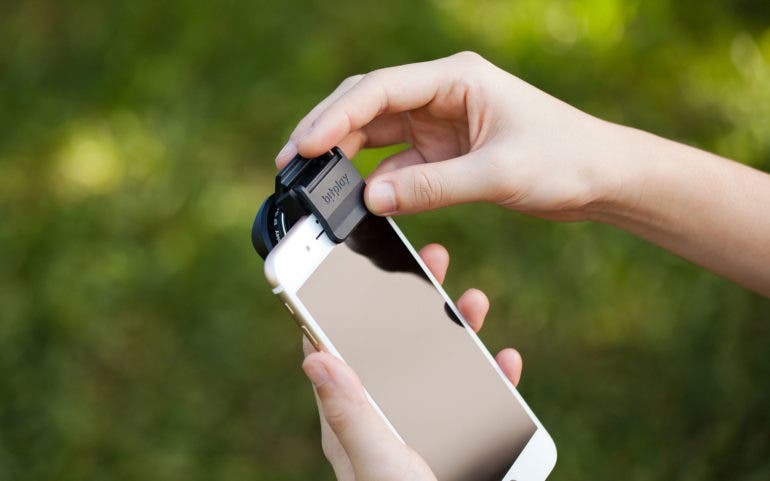 The clip isn’t just the name of the product either, it is the description of how it works too: all you have to do is clip the CLIP onto your iPhone and then screw whichever Bitplay lens you would like to use onto the Clip. It’s that simple, and it works for both the front and rear-facing cameras, so you can use the CLIP however is convenient for you. In total, you have your choice of eight accessory lenses to choose from, so you can really get the look you are going for. They have a full frame equivalent fisheye lens, a circular polarizing filter, wide angle, ultra wide angle, telephoto and more. As well, the interior of the CLIP is lined with a soft silicone finish to ensure the case does not cause any damage to the iPhone resting within it. It also won’t cost you an arm and a leg, with the clip itself only expected to run $9.99 and the ‘Wonder Package’ which includes a leather strap and a lens for $46 (price on the package changes depending on your lens choice). The CLIP will be available on Amazon once it is launched, but for now, you can pre-order it directly from Bitplay over on their website, here.